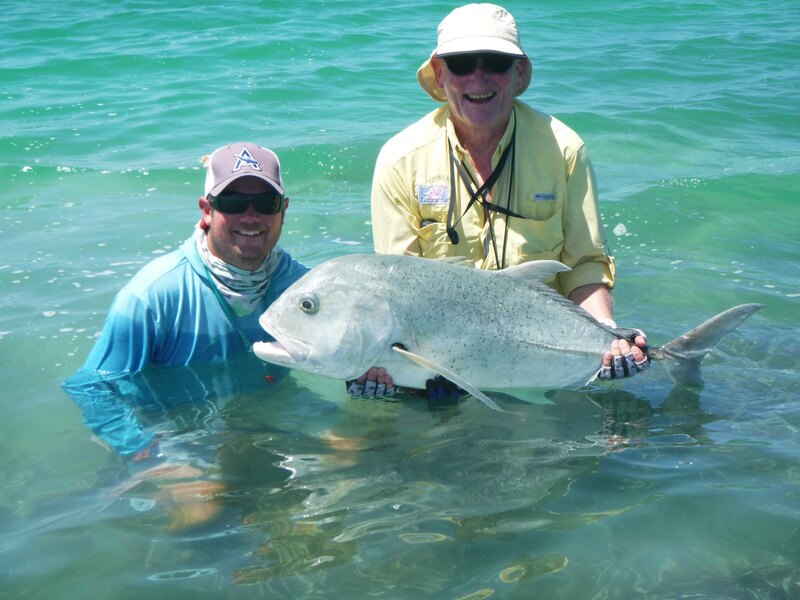 Perfect triggerfish tides, hungry bonefish and returning seasoned anglers set the tone for a great week. 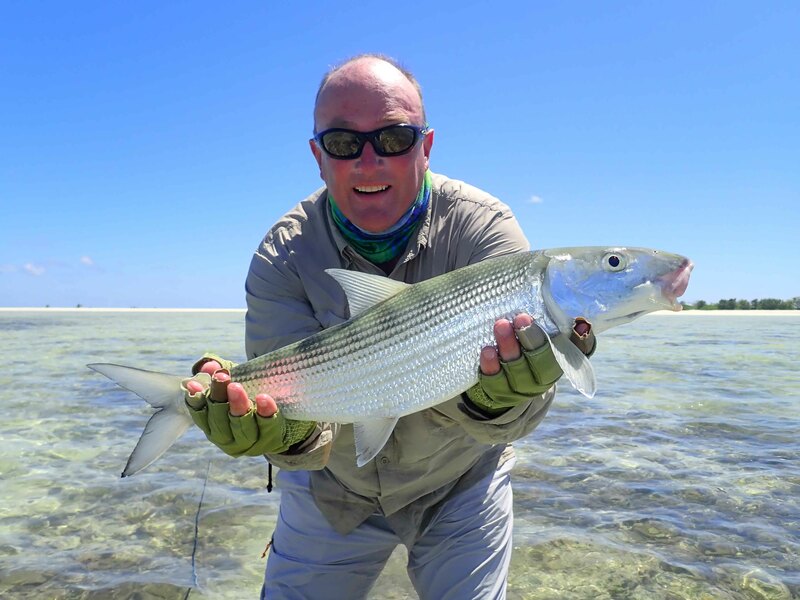 Our group from the United Kingdom brought their A-game and managed to catch 475 bonefish in six days with the biggest estimated at 7.5lbs. The GTs were around and on the prowl with daily encounters resulting in five being landed. 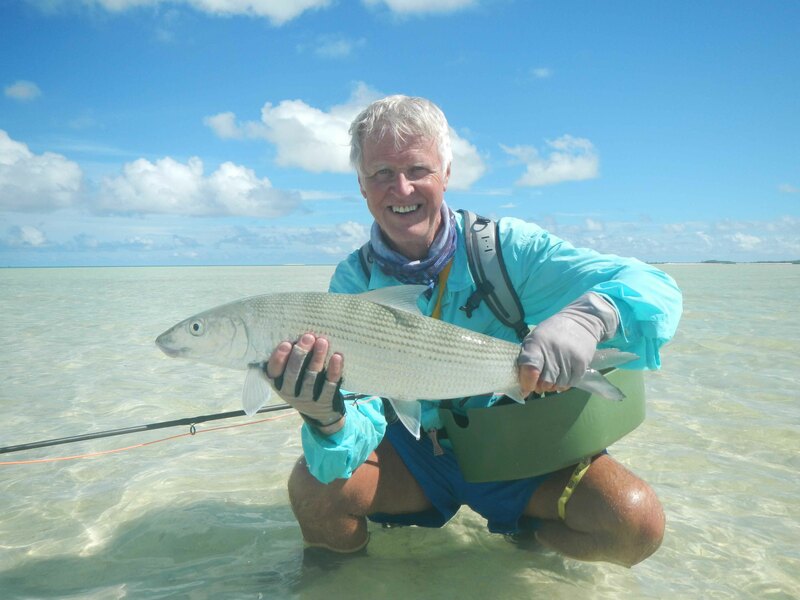 Tim Aldiss managed the largest specimen measuring 94cm after a fly change and 6 casts, finally convincing this fish to take the fly. 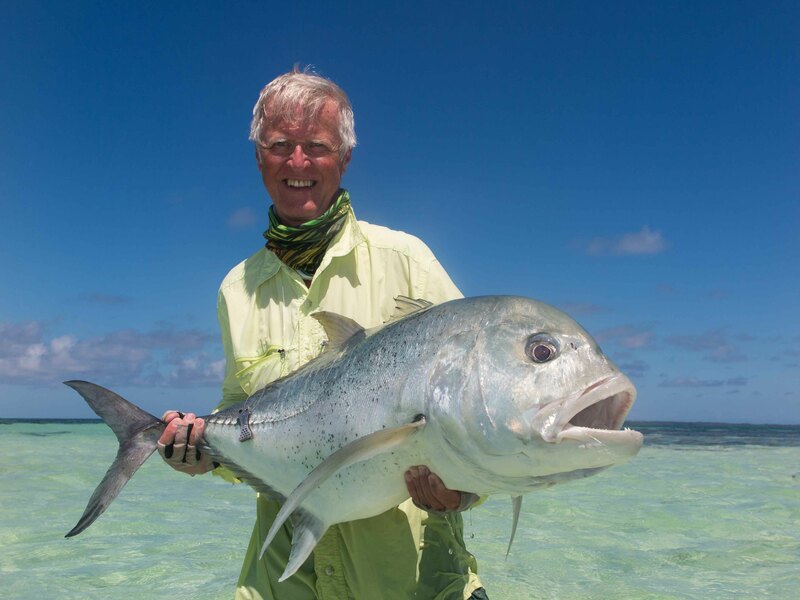 The tricky triggerfish did their part in being extremely difficult with an untold amount of shots and only two landed. 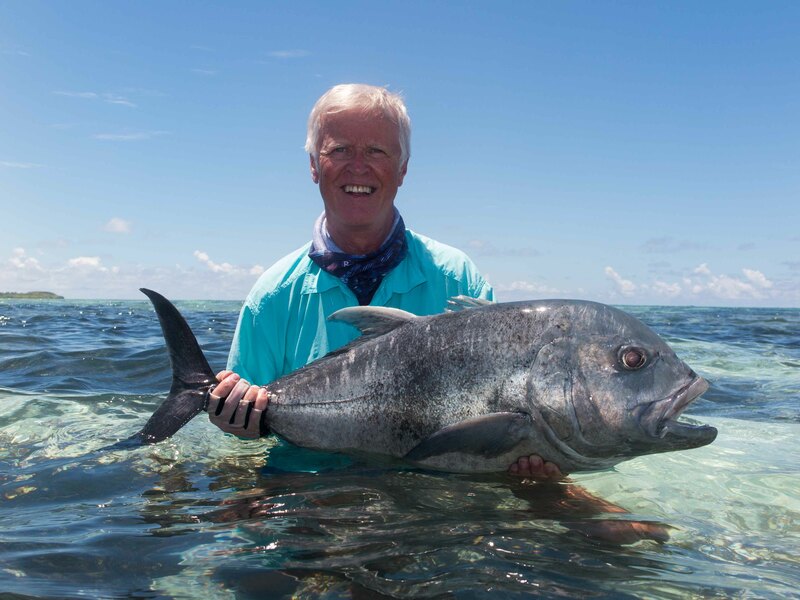 Jean Howman did however manage to land two very special fish with the first being a rarely caught batfish, a finicky feeder that decided to take a trout nymph. 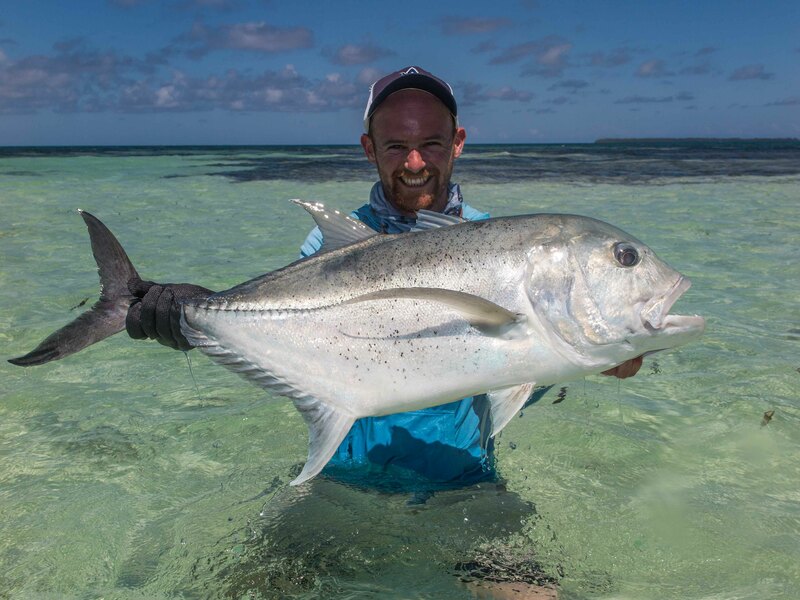 To add to a growing permit season Jean managed to also land a beautiful Indo-Pacific permit bringing this seasons tally to 30 landed in 10 weeks. Out on the bluewater the action was plentiful with sailfish raised and hooked but unfortunately only one was landed in close proximity to Alphonse. Russell Crafter and Kevin Haydon were up for the gamble after rumours of the bluewater teams exploration away from the island in search of sea mounds. 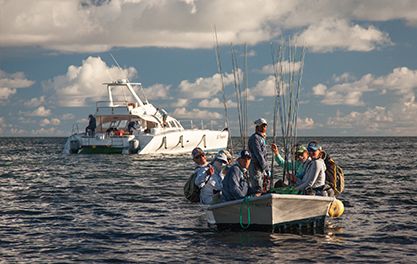 The team loaded up, headed out and quite quickly a marlin was raised, which unfortunately didn’t stick after a half-hearted attempt. The day hit a lull before a 12:30 hook-up on a monster fish. Russel was on the rod and after a 3 hour battle the fish came to the surface for the first time but it didn’t jump. 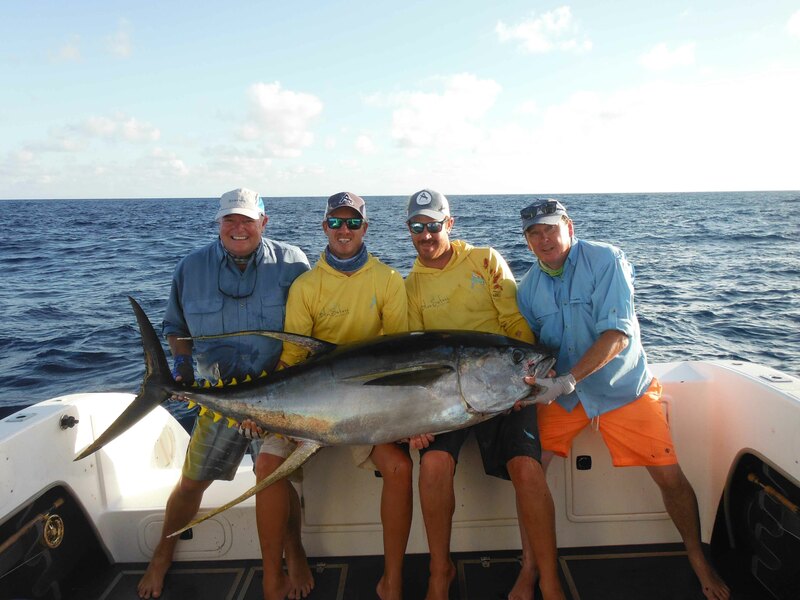 Two hours and twenty attempts later a 168lbs Yellowfin was finally leadered bringing to an end a mammoth 5-hour battle. The gamble certainly paid off.